Le Groupe La Poste was present at the dd Forum through its subsidiary Bemobi, where it presented its range of mobility and consulting solutions for businesses and local authorities. Public transport shouldn’t be used in isolation, but rather as part of a multimodal approach. The dd Forum - dd stands for the French term for Sustainable Development - is now in its eighth year, and it is also the eighth time Le Groupe La Poste has been there as a partner and co-organiser. The concept is a simple one: to present the best practices in sustainable development in Alsace, and to encourage companies and local authorities to adopt a sustainable way of working. This year, Le Groupe La Poste gave a presentation on the business travel plan, or Mobility Plan, which has been compulsory for companies with more than 100 employees on the same site since 1 January 2018. Bemobi, a group subsidiary, was invited to take part in a workshop focusing on these plans, and offers answers to questions posed by companies: “How do we implement a Mobility Plan? And what are the results?”. Adeline Gogé Lefaivre, Director of Marketing and Communications at Bemobi, provided an overview of the challenges facing companies affected by the Mobility Plan, and gave the keys to understanding the issue. Indeed, a Mobility Plan represents a genuine opportunity for a company, a way to bring its employees together around a single purpose: reviewing the role of the car in getting to work and on business trips. Regular internal communications with staff and unions, diagnostics and consultations, and action plans are all steps in developing a Mobility Plan. How should we travel to work? What modes of transport can you use to get to work, taking a direct route or an indirect one, dropping the children off at school or stopping off at the bakery on the way? Adeline Gogé Lefaivre has an answer: “Public transport shouldn’t be used in isolation, but rather as part of a multimodal approach. Everyday use of a bicycle is becoming more popular everywhere, especially with electrically-assisted bikes. We are looking to put forward innovative solutions”. 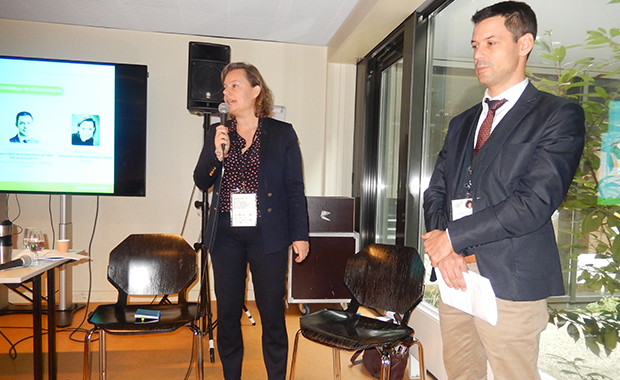 The workshop’s co-leader, Zacharie Rubio-Hssain, CSR Manager at the Banque Populaire Alsace Lorraine Champagne, highlighted that, “The Mobility Plan is also about continuous improvement. A mature plan takes all travel into account, including within an individual site”. Bemobi is helping companies to develop their mobility plans, and to optimise their fleets of vehicles and incorporate collaborative mobility solutions.